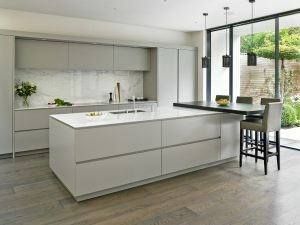 This Victorian family home in Wandsworth received a modern kitchen transformation with bespoke silver grey matt lacquered cabinets complemented with pure white composite work surfaces and a book-matched Calacatta marble splashback. 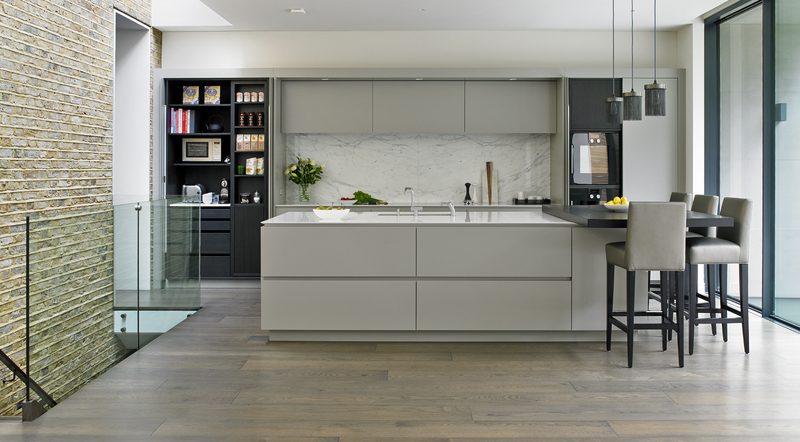 A large seating area was created in Charcoal oak, continued in the cabinet interiors and drawers. 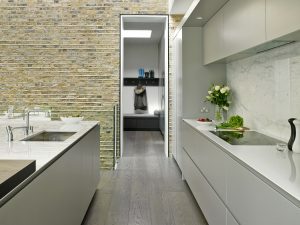 Gaggenau ovens are concealed behind a retractable door. 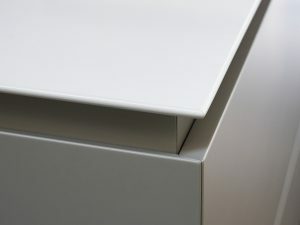 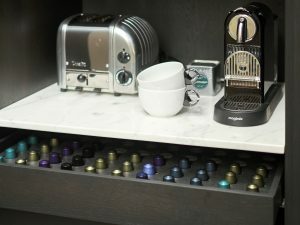 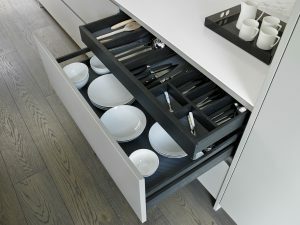 A large breakfast cupboard was also created using retractable doors. 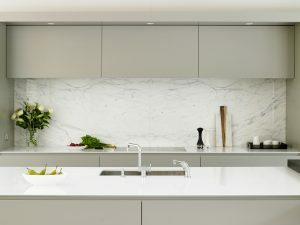 The high powered extractor fan is concealed inside a wall cabinet above a flush mounted Gaggenau induction hob. 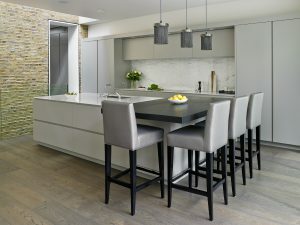 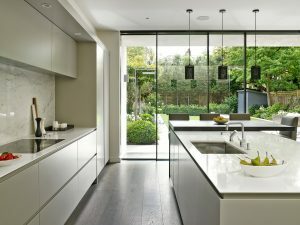 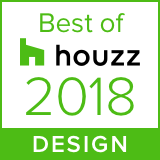 The Wandsworth kitchen design incorporated the traditional architecture of this Victorian home with a sleek and contemporary style that’s striking yet practical to suit the busy family life of the homeowners.